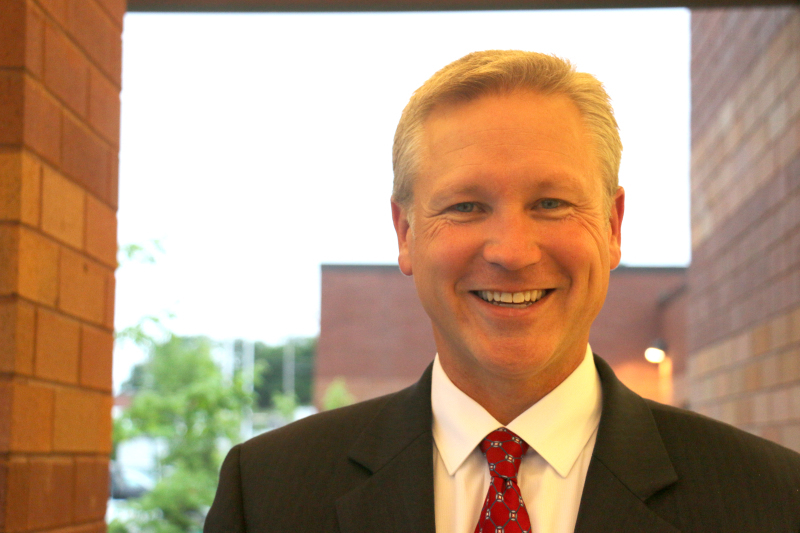 After four years serving on the board for four years, Brentwood’s Robert Hullett wants to keep his District Seven seat. Elected in 2012, District Seven board member Robert Hullett would like to keep his seat for another four years to help maintain the system’s growth and looking ahead into rezoning efforts. He will be on the Aug. 4 ballot. Early voting runs July 15 to July 30. He holds a bachelor’s of Business Administration in sales and marketing from the University of Memphis, a Masters in Education in school administration and supervision from Lipscomb University, and is still pursuing his Ph. D. Hullett moved to Brentwood with his parents in 1980 and began attending fourth grade at Lipscomb Elementary before advancing to Brentwood Middle and graduating from Brentwood High. District 7 is bounded to the east by Edmondson Pike and to the west by Hillsboro Road. In addition to teaching marketing and management at Ravenwood during 2004-07, Hullett taught instrumental music for grades 5-12 at David Lipscomb Campus School in 2000-04. Once working at Williamson-based Lee Company, he now works for Vanderbilt Medical Center as a senior information technology consultant. He and his wife, Kristin, have two sons in Williamson schools. The difficult decision for the board, and this is one that keeps me up at night, is that at times, it has to be done. Some rezonings I have supported, and others I have fought against. For example in 2013, Lipscomb Elementary went through a spot-rezoning. I offered an alternate plan to the board, and it was confirmed that my plan could work; however, it was not the recommendation of the superintendent or the board chair (at the time) and I lost that vote 2-10. Rezoning is an issue that we only broach when we reach the “point of pain,” where overcapacity forces our hand to do so. Often times, we then rely on our working relationship and partnership with our County Commission to expand our school system as we have done in Nolensville. At other times, with our spot-rezonings, we attempt to minimize the impact on students and families with the smallest affected number, such as the LES example. Many times, you will hear the phrase,”long range” or “long term” planning for zoning and rezoning. The component that is not known or not taken into account is that our Board of Education cannot levy taxes upon its residents. The County Commission is our funding body, and this is the example I use every time I explain this issue. The board could go the County Commission and request $1.5 billion and build three or four campuses across the county and stabilize growth for seven to 10 years. Our County Commission is responsible for governance and also to be good stewards of our tax dollars and they fight for every resident in our county. It is one of the great aspects of living here. However, if the County Commission were to agree to the request and fund it, there is truly only one option for them to accommodate the request – to raise taxes. This leads us to the way we do business with the County Commission. Take Ravenwood High School for example. The Board saw the growth ahead of its arrival, but we had to reach the “point of pain” (over capacity) to bring the three new Nolensville schools to the County Commission and receive their approval for funding. Ravenwood has been grossly overcapacity for two years. Finally, this fall as these new schools open, we will see relief. However, with the tremendous growth we are experiencing, that relief could be short-lived. This fall, the board will be discussing “district-wide rezoning.” This often leads to a sense of panic in our Williamson County Schools families, but what everyone should know is that everyone will not be affected. We are taking a different approach from the 2010 rezoning, which in my opinion was a failure. The fact is that Williamson County is the greatest place to live in Tennessee and families, and businesses continue to move here with one of the primary catalysts for this being Williamson County Schools. I believe that testing is an important component in the evaluative process of students. However, I do believe that in recent years, we have grown to place an inordinate value on testing, especially high-stakes testing. The difference is that our professional educators do not have the time and resources they need to teach all of the complementary components to the subject matter to provide a truly well rounded experience. Teacher accountability tied to high-stakes is flawed. Beyond the school and district level, how can anyone at the state or even federal level know the strengths, abilities, successes, and yes, areas needed for growth, of our teachers based merely on a number reported out in a spreadsheet? Simply, they cannot. Our teachers, administrators, and central office professionals are clearly those best equipped for the assessment of our performance. Common Core is now a non-issue and although it was a hot-button topic two years ago, it is now irrelevant. For those who might not know however, Common Core was often misunderstood and misrepresented, especially when it came to our Board of Education. Briefly, Common Core was composed of three elements: standards, testing, and data (data-mining). What you might not know in reading this is that our Board of Education, during my entire term from 2012 to present, took the following positions and these are all verifiable, as our meetings are open and public record. For standards, our board supported them as a floor, not a ceiling. This was an easy choice, as it provided a baseline of basic knowledge. Williamson County Schools, however, really had no issue with the standards as we have, and always will, exceed these standards. It is just what we do here. As for the testing (PARCC) and data-mining, the Williamson County Board of Education has always stood against these components. The testing, much like TNReady, was a disaster and left far too much hidden behind the curtain. Coupled to the data-mining component, the board made pronouncement after pronouncement that we were against these components. So the battle cry of supporting or opposing Common Core was actually misleading to our communities and provided volumes of misinformation to our families. And yes, I agree with the state phasing it out, however the Williamson County Schools Board of Education at that time asked this question of our state legislature. What do you have waiting in the wings to replace it? The answer was nothing and what we received was TNReady. Common Core could have easily been phased out with a suitable replacement developed before its removal. However in the highly charged political arena, the knee-jerk reaction brought us to today. I believe our state standards are strong but can always be improved over time. In addition, as I stated before, Williamson County Schools has and always will teach beyond these standards. It is just what we do. This is another hot-button, political-agenda-driven issue. The answer for me is yes. How can we possibly hope to develop well rounded, balanced, culturally educated students, who then become young adults, who then become adults, if we do not include the basic understanding of world religions? We do not live in a vacuum. The world around us is changing moment to moment and we live in a globally competitive marketplace society. Our children deserve to have a robust culturally infused education. To deny them this is to deny them a competitive advantage in their years beyond WCS. We do not indoctrinate our students. We never have and we never will, no matter how many campaign flyers might say it this summer. I know that I am partially quoting here, but ignorance will lead to fear and fear will lead to hate. Our children deserve better and providing them with an understanding of the world around them is essential to the defense against such ignorance, fear, and hate. Dr. [Mike] Looney has my full support and always has, even when he and I have disagreed. He is simply the best in the business. In the coups to oust him as our superintendent, I led the charge to keep him. I have always been outspoken, much to a few others chagrin, in my support of Mike and his administration. Before Mike arrived, our district showed “As” in performance, but “Ds” in growth. This became his mission and through our strategic plan, in cooperation with the community, we have achieved “As” in both performance and growth. One huge success to note – part of this plan was a goal of raising our district-wide ACT average to a 24, which was a Herculean lift. Under Dr. Looney’s leadership and the dedication of our students and teachers to the learning environment, we believe that this year, we will not only meet, but exceed this goal. Our students, families, teachers, and administrators. Their best interests is what I fight for, every day. Our students, in all that they do, are a beacon of excellence in our state, region, and nation. Not a day goes by where I do not wake up thankful that my sons attend our schools. I am product of Williamson County Schools, as is my wife, who is also a teacher in the district. We have made and kept our home here because of Williamson County Schools. The three main issues for me are growth, testing, and facilities. We have discussed growth and testing. Our facilities and the resources to maintain them are incredibly important, as they house the educational environment that our dedicated professionals create for our growing young minds. From the growth perspective, from time to time we will need to build a new campus. Engaged families and businesses will continue to move here, and I use the bathtub analogy to describe this. At this moment, our bathtub – facilities related to the capacity and number of students attending – is overflowing. It is not enough to flood the house yet. Rezoning without adding new facilities, only causes the water in the tub to slosh from one end to the other over a period of years. So, yes, we will as our growth continues, so will the need for additional campuses. The maintenance and renovation of our existing buildings is of extreme importance as well. I represent two of the oldest schools in the county – Brentwood Middle School and Brentwood High School. This month, we will be evaluating a plan to address the capacity issues at these schools, which will ultimately affect our three elementary feeders as well. The support of these initiatives maintenance and upgrading/equity ultimately falls on the County Commission to approve and fund the plans the Board of Education submits to them. We have a positive partnership with the County Commission and at times, we do not always agree, but know that your Board of Education and me as one of its members, will always work to provide for the needs of our students, families, schools, and communities and to protect those best interests.